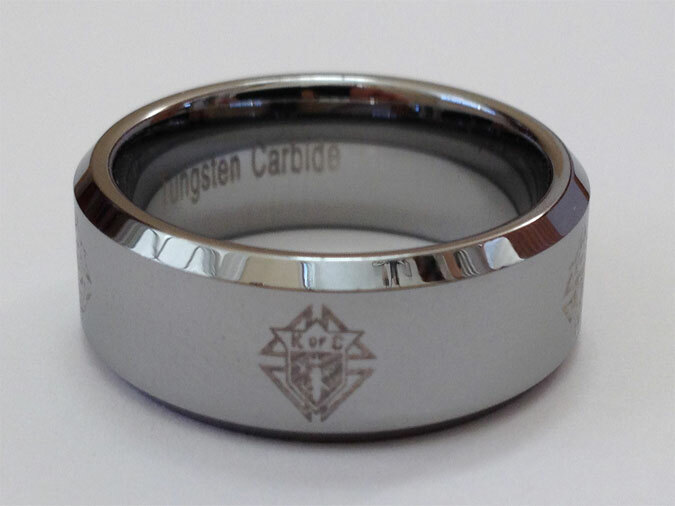 K of C Laser Etched Tungsten Carbide Ring. 5 Emblems of the Order laser etched around the ring. Silver with silver edges. Gift Boxed...Sizes Available- 10, 11, & 12.